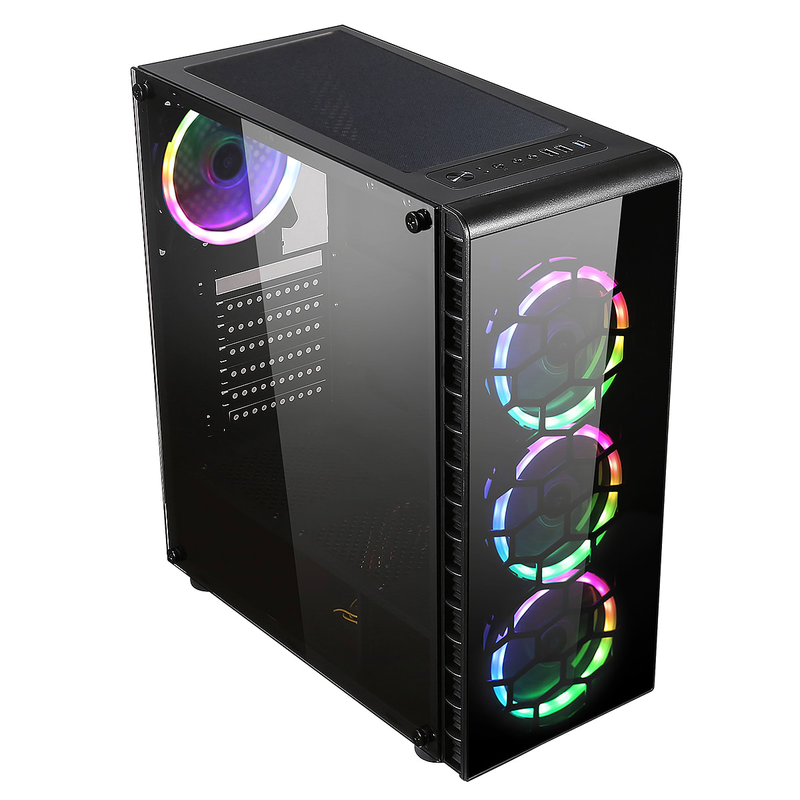 The Fierce GUARDIAN Gaming PC is a brilliant PC for your gaming career. BullGuard Internet Security - 3 Users, 1 Year. Includes an LED-Backlit gaming keyboard and mouse kit. Equipped with vivid, customizable RGB LED lights, enabling further personalization for your build. The Fierce GUARDIAN Desktop Gaming PC is impressively fast. Featuring the new AMD Ryzen 5 2500X, running at 3.6GHz (4.0GHz Turbo) across 4 cores to push the performance of the other components in your PC, you'll have no issues destroying your opponents. Paired with the NVIDIA GeForce GTX 1050 Ti 4GB and 16GB of 2666MHz memory, you'll have great results running the latest games at 1080p. Storage comes in the shape of a 1TB Hard Drive for a vast amount of file storage. Included is a 300Mbps Wireless Wi-Fi Network Adapter, and a standard UK or EU power cable, depending on your shipping address. 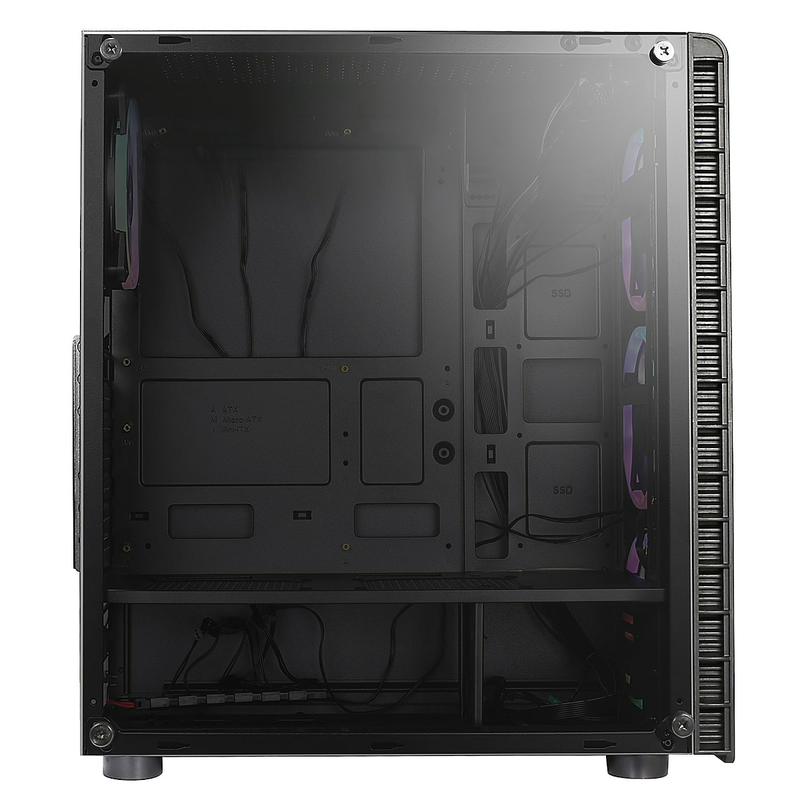 All of our PCs are fully built, require no assembly and are tested by our experienced team of builders and quality control staff. This system is Windows 10 Compatible (Not Included). 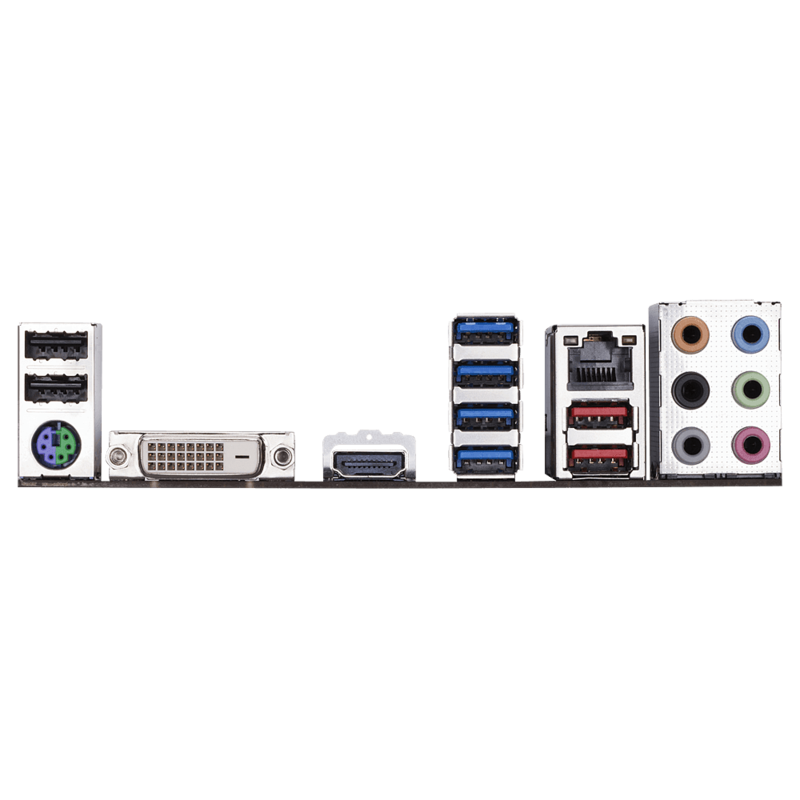 This PC does not include an optical drive. Any required software can be downloaded or installed via USB.